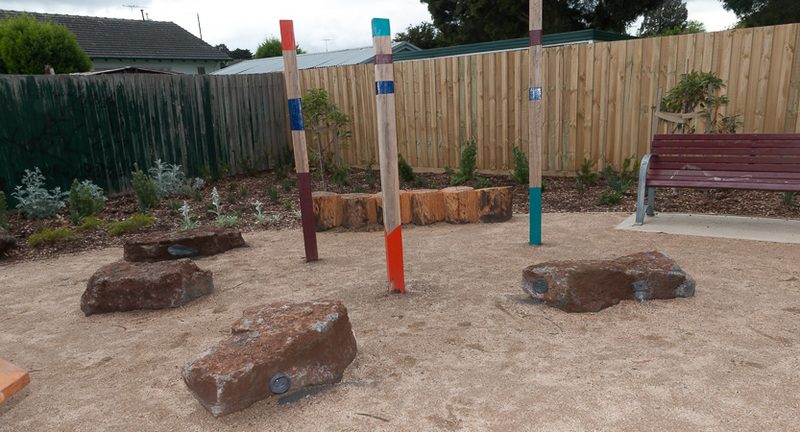 Lahinch Vessels was a grass roots community arts project incorporated into the City of Darebin‘s upgrade of Lahinch Reserve in Preston in 2013.
produce an artwork that connected to a space, engaged and reflected the community. 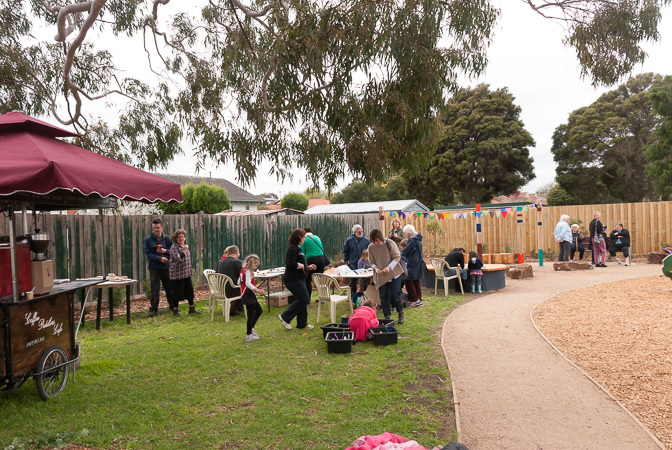 The project used a collaborative community approach from the ground up. 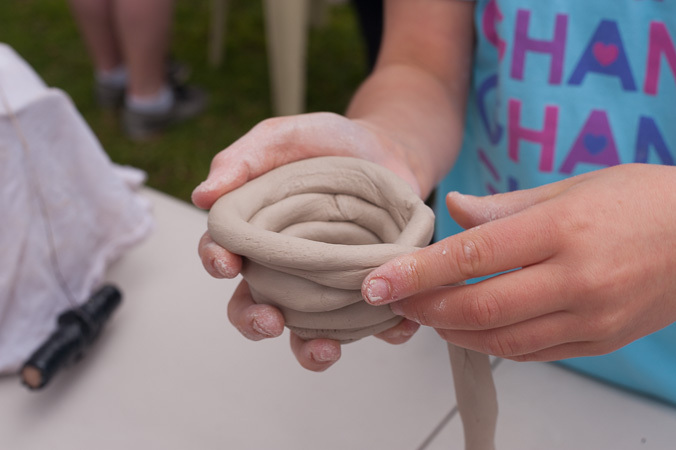 Community ideas, including children’s, shaped the overall design of the artworks and local artists, Nick and Mary Hackett used these ideas to create the work. 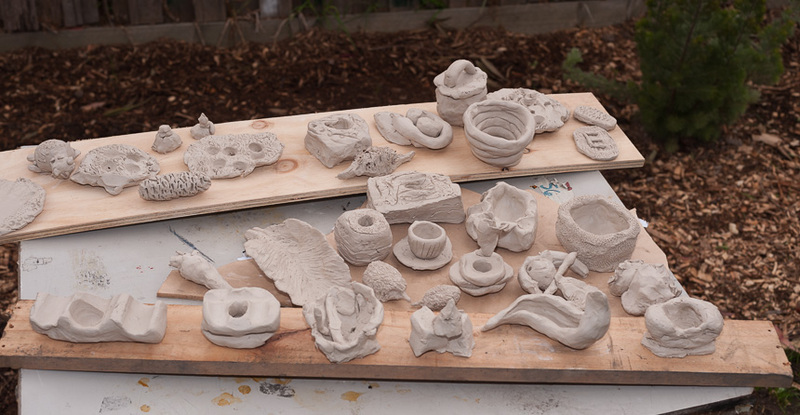 These local artists had a connection with the space and community who visit the area. 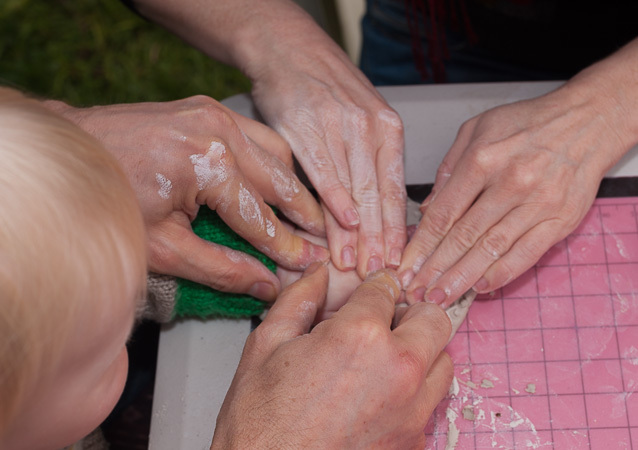 At a community launch of the upgraded park the public were invited to make objects from clay. 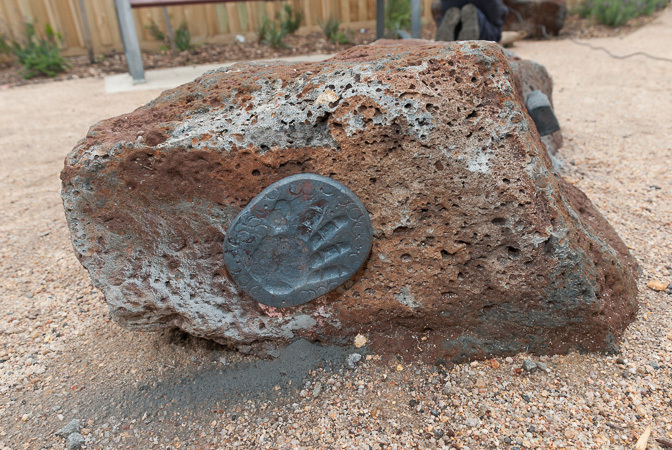 Of the 75 works created 20 were selected to be recreated in forged steel and placed in various locations around the playspace to be discovered. 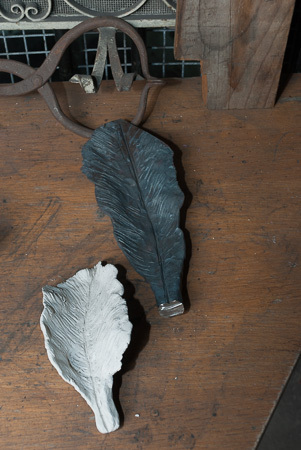 All of the 75 clay works were fired and made available to the people who made them. 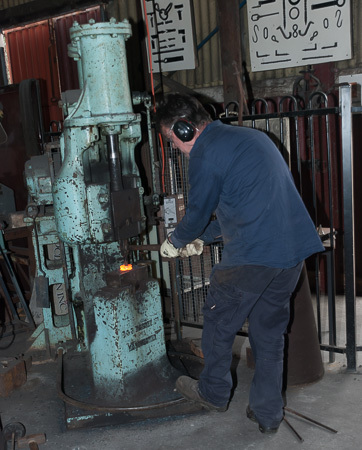 The steel pieces were made locally at the Blacksmith’s Barn, Coopers Settlement at Bundoora Park and the public were invited to view the works being made. Lahinch Vessels is a subtle work placed within the landscape of Lahinch Reserve for the community to discover. 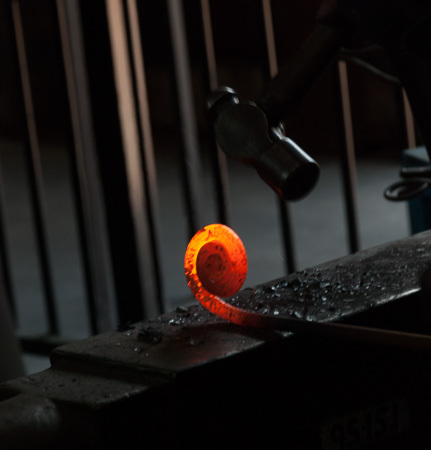 The forged steel will alter in appearance as it ages. 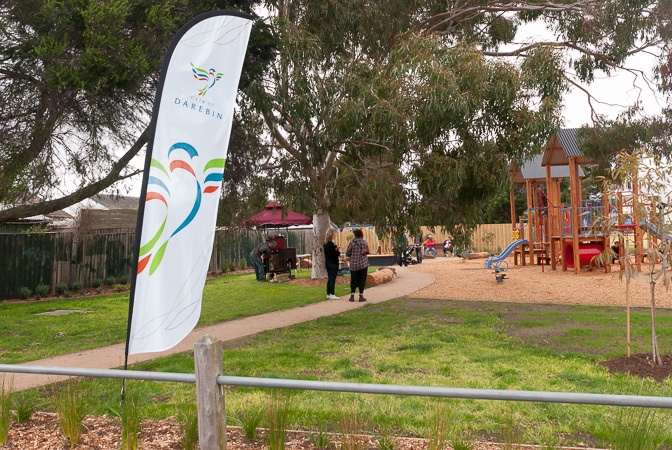 It holds a special place in the hearts of the community members who participated in the project and assisted in establishing a strong sense of community, ownership and respect for the upgraded playspace. Further information about this project can be found at the Lahinch Reserve Blog by Nick Hackett.